The Schoolchildren’s Religious Liberties Act would legalize school prayer and Republican Rep. Mark Formby apparently believes that this is the most pressing concern for legislators. After all, with a subpar educational system, the kids need to pray for a miracle in getting a job. Formby has a remarkably liberated view of any limitations imposed by the separation of church and state: “I’m not so much worried about what’s allowed as what’s disallowed. I keep having parents come to me and complain.” Just in case he develops a tad of “worry,” he might want to glance at Engel v. Vitale, 370 U.S. 421 (1962), where the United States Supreme Court found an official school prayer to be unconstitutional. Then in Wallace v. Jaffree, 472 U.S. 38 (1985), the Court struck down one minute for prayer or meditation. There is no law needed to allow students to prayer silently of course. These laws generally reflect a continuing desire to establish an official time or opportunity for prayer. Recently the same type of legislation was struck down in Mississippi but that does not stop further efforts fueled by politics and “a hope and a prayer.” Of course, the inevitable challenge will burn money in litigation that could be spent to actually improve Mississippi schools. Now that is something worth praying for. I know this web page gives quality dependent posts and additional stuff, is there any other web page which gives these things in quality? I think they are all praying for a Christian Mingle and a little bit of use of the dingle, which is not to say that prayer is for the single or the double, but for the class to end and the bus take one home to the rubble. Pray for rain. If a Muslim student wanted to pray at a graduation event under this proposed law, you can be sure he/she would be silenced almost immediately and given death threats. An atheist student’s crititique would result in death threats, as happened with teen girl in Rhode Island who complainted about a prayer banner. Of course, they take religion much moer seriously in Mississippi then Rhode Island. This bill is all about pushing Christian evangelicalism. Nothing more. This lie that prayer has been banned has to be stopped. Prayer is legal in school already. Nobody can stop you from praying any time you like. To prove my point I shall now pray to the great FSM, you just try to stop me! . . . DONE! You couldn’t stop me, the government couldn’t stop me not even the combined forces of the US Army, Navy and Marine Corp. could stop me. Now, if I wanted to force you to LISTEN to my pray, or force you to join in my prayer, that we can stop. If you don’t understand why we must stop it then you really need to learn a lot more about the history of this country. You don’t need no stinkin education if you got Jesus….. Then again, maybe you do…. Kinda insinuates that there are different kinds of prayer doesn’t it? It is not prayer in schools they want it is forced prayer in schools chosen by the theocratic government they want to install. Children can pray quietly when ever they want and I bet at test time they really do! How is prayer not already allowed in schools? Is it not covered by a right to free speech? “Ever driven through Mississippi???? They’re still praying for an end to to Civil War, down there…” Hell, they’re still trying to get passed the Neanderthal age! Pray that this unconstitutional law does pass. Ever driven through Mississippi???? They’re still praying for an end to to Civil War, down there….. Sounds to me much of this is due to a politician wanting to score points with constituents. He probably knows this is a futile endeavour but instead he presses on so when it is reversed, he can still claim he was the one who championed for his electorate. And yes, it is waste of time and money. We need to inject prayer in school without requiring prayer. A round-about way is to require pop tests. 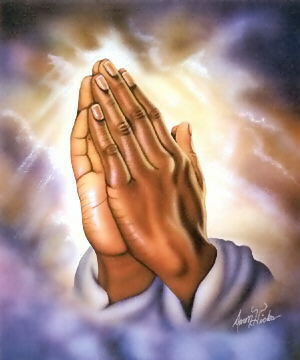 If you pop a test on em you will see em all praying. Furvently. Tell em recess privileges for a whole month are on the line. First question: Who is the Governor of Mississippi. Second: How do you spull Mississippi? Third: What year was Ol Miss last in the Sugar Bowl? In Florida we call it the “quiz for prayer” tool. In the dogpac school we just with hold dog biscuits at afternoon prayer time. This is just what the schools in Mississippi need to improve. Time for a prayer! When are the radical religious wingnuts going to get the message. The Consitution does not give a hoot about the Bible. Thank goodness for that.